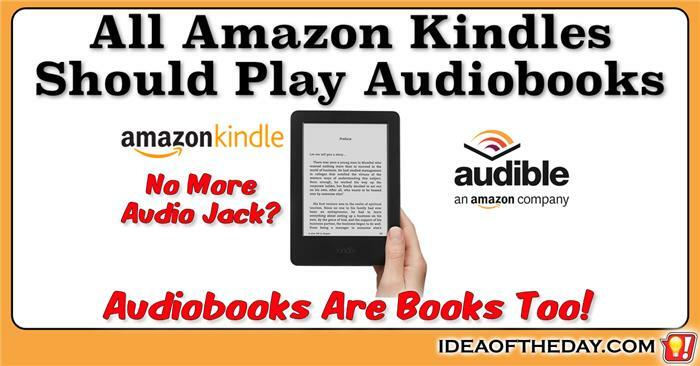 Why is it so hard to get good Apps on the Amazon Kindle Fire? We need App Store freedom! Greed is holding the computer industry. If the future of computing is in mobile devices and tablets, we need better cooperation between device manufacturers so that popular Apps work on every platform. As things stand now, you can't run a lot of the most popular iOS Apps on the Amazon Kindle Fire, and that's a shame. Amazon blocks Apps from just about any company that competes with them. That's why you won't find third-party apps for books, music, or movies, including Barnes and Noble's Nook, or the Google Play Store. As a matter of fact, they even block third party browsers like FireFox and Google Chrome because they want to monitor and control all your web searches. I wish the Kindle PaperWhite had a stylus so it can be used as a notepad / sketchbook. There's something special about the Kindle PaperWhite. Unlike most tablets and mobile screen, you can read it outside without any glare, and the display looks and feels just like paper. Now that the newest generations also feature a touch screen display, I think the next logical progression is to add the ability to write directly on the screen, preferably with a stylus. I've skipped a few minor upgrades over the past few years, but if they introduced a version with this feature, I'd definitely upgrade. 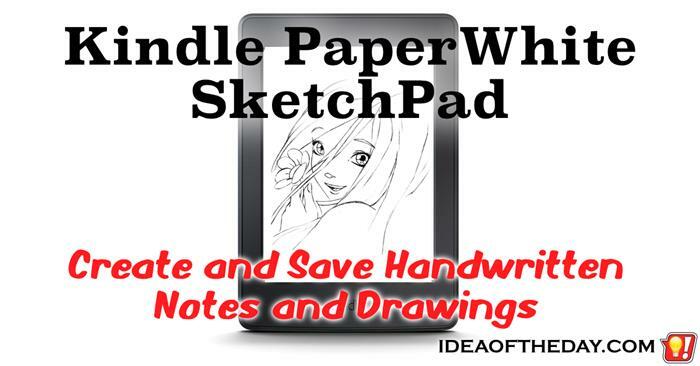 The Amazon Kindle PaperWhite has a touch screen... so why not give people a way to use it to doodle or take notes? The best thing about the Kindle PaperWhite is that the screen looks and feels like paper. Unless you use a magnifying glass, it's hard to to tell what you're reading wasn't printed on paper. Because it's designed specifically for reading books, Amazon didn't put many other features into it, which is a shame because the the PaperWhite's e-ink touch screen would make a perfect writing surface too, especially with a good stylus. 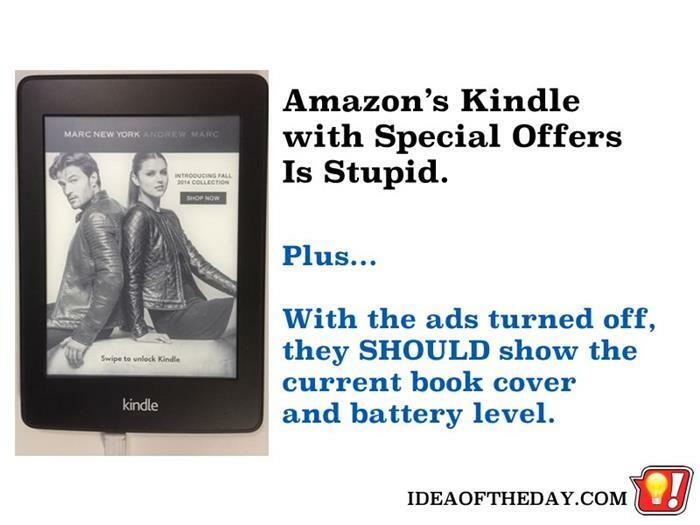 Amazon Should Offer a Free Way to Remove Ads From "Kindle With Special Offers"
It was a mistake buying my Kindle PaperWhite at a slightly lower price, allowing Amazon to place advertising on the device. Amazon sells two versions of each Kindle model. One version costs $20 less, because it has "Special Offers", which are advertisements in places that Amazon claims won't get in the way of reading your books. The second version costs a few dollar more, but it has no such advertising. They call it a discount for allowing the ads. I call it an extra fee to get rid of them.